Random And Some: "The highest of distinctions is service to others"
"The highest of distinctions is service to others"
Earlier this month I saw Marc Forster's World War Z. When I read in Humo that the movie was basically a loose interpretation of Max Brooks' 2006 horror novel, I decided to also check out his well-received effort, which peaked at No. 9 on the New York Times Best Sellers list. 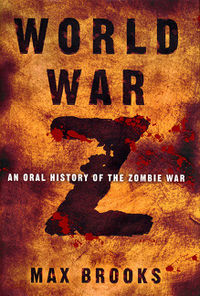 Via a series of interviews, the story of World War Z, the decade-long global war against zombies, is told. The numerous testimonies paint a lively picture of how unprepared humanity was for a zombie outbreak. The power of World War Z is in the details: what lenghts will people go to survive? ; How does one handle complete radio silence? ; How precisely do you rebuild a society? World War Z is not a horror story by way of blood and guts, but the book still breathes ominousness, even though the concept of separate stories prevents any kind of momentum.